Simple design of clean lines. 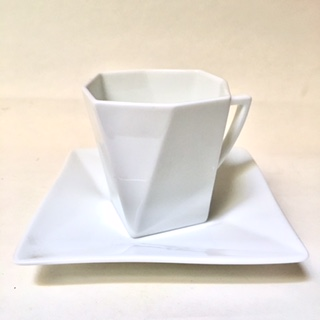 3" tall cup with 8 bevel surface and delicate handle. Saucer 5" X 5".